Among other things, this arrangement saves time that businesses can spend on other important tasks and eliminates the expense and hassles associated with managing inventory levels and the warehouse workforce. Simplifies inventory control : Businesses do not have to invest in large warehouses to physically stock, pick-pack or manage the workforce for these tasks. Reduces overhead : Merchandise sitting in a warehouse wastes space and money. With drop shipping, you don’t own the inventory. Improves cash flow cycle : Inventory levels are typically based on certain statistical assumptions that businesses must project and which, unfortunately, can be wrong. With drop shipping, the retailer only pays for what they sell. This largely reduces their cash conversion cycle. Diversify or expand product range : Drop shipping allows businesses the flexibility to expand their product offerings which ultimately enhances the customer experience. Customer experience concerns : The drop shipping partner controls the customer experience. Should anything go wrong with the product or packaging, the brand name takes a hit. That’s why it’s important to partner with the right third party logistics (3PL or TPL) provider. Lower margins : Drop shipping is an option available to the competitor as well as the manufacturer of the product who might sell the same products online. The businesses would have to sell at the same price as a large retail competitor or the manufacturer. Extra costs : There may be instances when businesses incur extra costs with drop shipping. For instance, a customer is charged a flat shipping rate for an order, but the order cannot be fulfilled in a single shipment because the items are coming from different wholesalers. Reduced inventory visibility : Unless the business maintains proper track of the supplier’s stock, ‘out of stock’ situations may arise unexpectedly. Lack of visibility could harm delivery time lines and eventually brand reputation. 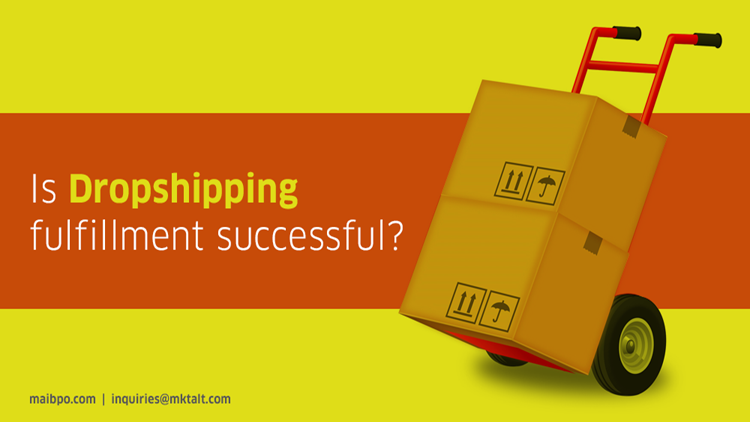 Is Drop Shipping Right for Your Business? Gartner predicts that 100 Million consumers will shop virtually by 2020. If your business can think of ways to work around the limitations of drop shipping, and appoint a reliable third party logistics partner who can provide secure shipping with visibility into stock and shipping statuses, this method has many obvious advantages.